Plenty of stuff has been happening over at Themedy– a site where I (along with my brother, Mark) release premium child themes for both Thesis and Genesis. Some of the bigger news includes a brand new theme release and new landing page templates for all themes. Please welcome Foxy News to our growing list of great Genesis and Thesis themes. 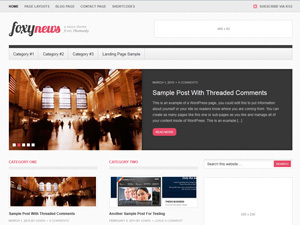 In a nut shell, this theme is a robust content-driven news theme with many advanced features and options. Foxy News includes a custom home page, a jQuery slider, an images slideshow area, nine brand new widgets, and much much more. Whether you have a small start up, or a large content-full site, Foxy News will deliver. We’re always adding new features to our released themes no matter their age. 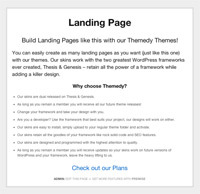 The latest big feature we’ve added is “Landing Page” templates. Turn any page into a unique landing page separate from your main site’s style and functions and use any shortcodes to easily spiff up your content. Although only its early stages at the moment, our next theme is already being designed and developed. We’re aiming to release it as an ecommerce theme for both Thesis and Genesis that integrates into already established ecommerce plugins. 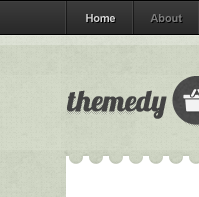 If you want to keep updated, follow us on twitter (@themedythemes) or like our page on Facebook.